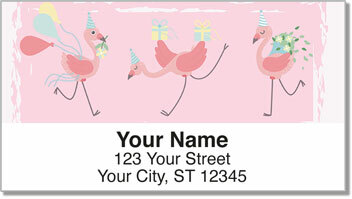 Here's a new twist on pink flamingos. Who isn't intrigued by the brilliant colors of these prehistoric shrimp-eating waders and their signature one-legged stance? 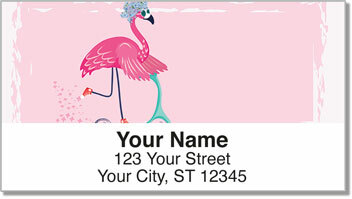 Fortunately, you don't have to go to the tropics for your next flamingo fix. 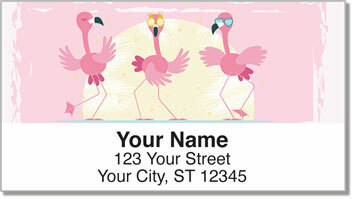 We've got them here at CheckAdvantage, and they're among the cutest flamingos you'll find anywhere on the web! 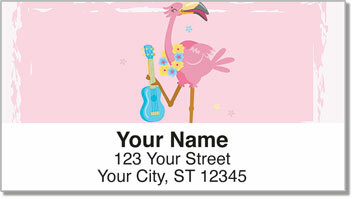 For this design, our artist applied bright backgrounds and whimsical poses to the subjects at hand, creating the four fanciful illustrations that comprise our Fun Flamingo Address Labels and Fun Flamingo Personal Checks collections. Make both products yours today!